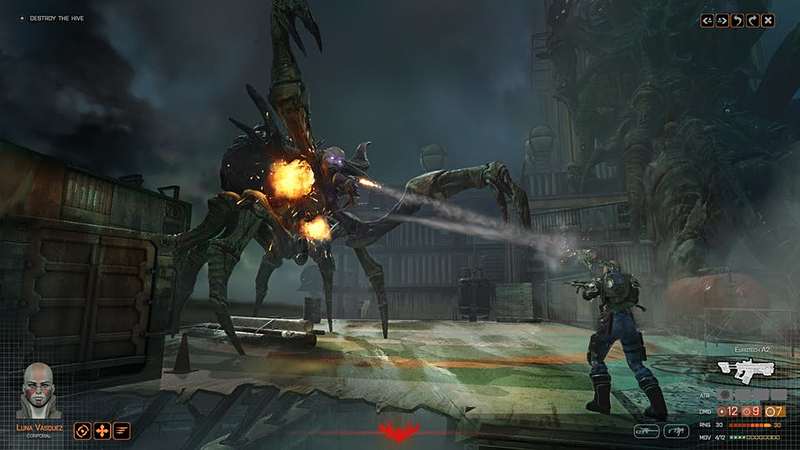 Phoenix Point marks Julian Gollop’s return to a genre he first created back in 1994 with the original X-COM. It sees you fight to unite the surviving factions of Earth and rise up against the strange crab-like aliens that have pushed humanity to the cusp of extinction. 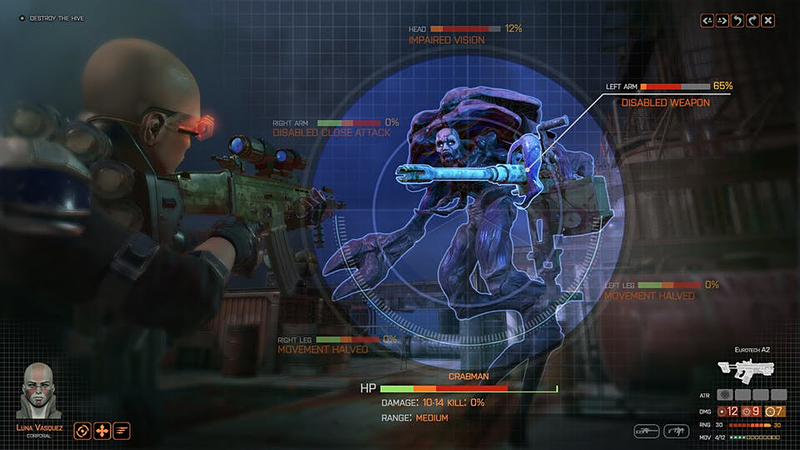 It looks much like the Firaxis XCOM reboots, a fact Gollop makes no attempt to hide when we meet him to play the game, but it takes the genre in new directions by imbuing the alien enemy with the power to adapt itself to your play style. 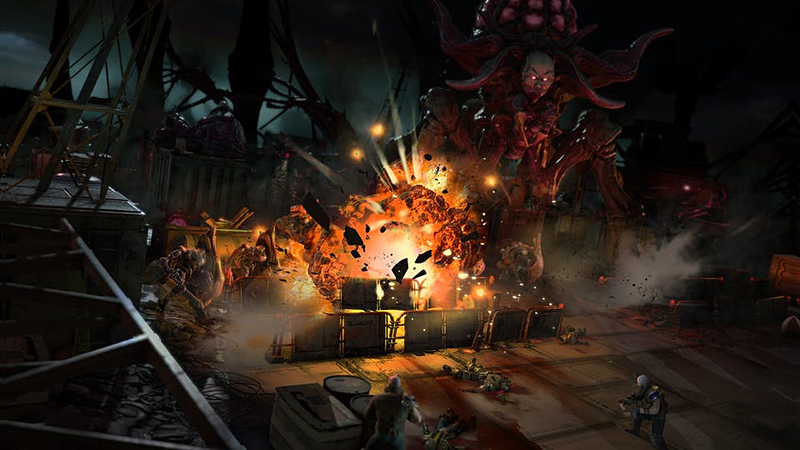 When you first start a campaign in Phoenix Point you are on the back foot as the aliens have all but completed their conquest of our home planet. Human settlements are dotted about the Earth, struggling to hold back the aliens, but it is a ditch effort. They call on you for aid when they come under assault. In time, though, you will have to start trying to do a little more to push the tide back. Before you can eradicate the aliens you must learn as much as you can about them. You can talk to the other havens who will “give you intel about the aliens and also the location of their hives,” Gollop tells us. But that will only reveal so much. To work out what makes them tick you are going to have to take some alive. “If you recover an alien you can research its individual body parts to work out what its function is,” Gollop explains. The function of a limb may appear obvious but studying it can also reveal its weaknesses. For instance, if a crab evolves a shield it is plain that it blocks bullets, but in researching it you can learn its limitations – such as the fact that when it is deployed, the crab is locked in that direction, leaving it vulnerable to flanking moves. Your scientists will also suggest research to invent that may help to counteract particularly powerful mutations. The example Gollop gives is of a poison-spitting ability, “which is quite nasty,” he adds. When you first encounter it, you don’t have anything in your arsenal to counteract the poison’s effects, but if you can catch a spitter and study it then you can develop antivenoms and armour to protect your soldiers against it. 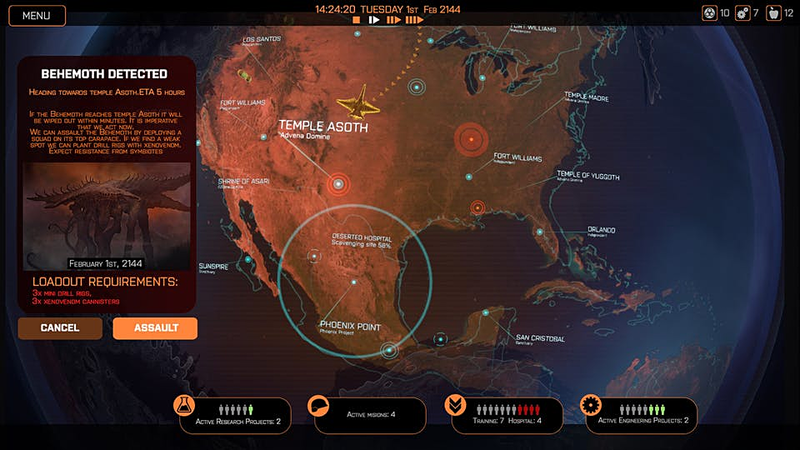 The world map can shift and change dramatically throughout a campaign too. Deep under the sea, alien mist generators belch out a strange semi-intelligent fog that rolls across the land. The AI can direct the mist towards human settlements, surrounding and engulfing them. “Any haven or base that becomes enveloped by the mist is in severe danger of being attacked,” Gollop says. The vaporous menace is more than a cloak: “The mist is what the aliens use to communicate with each other, to regenerate their systems, their health,” Gollop explains. The aliens can only build their structures in areas wrapped in mist and, the longer they go undisturbed, the larger they can build. The simplest structure is a nest that produces monsters with simple mutations. They are more of an irritation than a serious problem. However, a nest grows into a hive, and a hive is ruled over by a hive queen. The many-legged Hive Queen is quite the thing to contend with: crammed with health points and built like a tank, she is able to charge through walls, even collapse entire buildings. She will run down any soldiers in her path and force your squad to abandon their positions and scatter before her. However, you can drive her back to the hive if you cause enough damage – “she will try and preserve herself,” Gollop explains. Until you raid the hive and kill her once and for all, the queen will repeatedly appear in battle. Worse still, if you blast off her limbs they will grow back even stronger than before. “Each body part has several levels of power,” Gollop adds. Your faction, the Phoenix Project, have their own technology but to get it you will need to track down and reactivate old bases that were lost in the mist. “You have the only active Phoenix base at the start of the game,” Gollop says. “All of the other Phoenix bases are potentially operable and have some of their own archives and research that people were doing there.” So bases are well worth searching out and taking back from whatever faction or alien now calls it home. If you aren’t up for saving other factions or stealing from them, you can always try to trade with them for the tech and materials you need in your fight against the mist monsters. 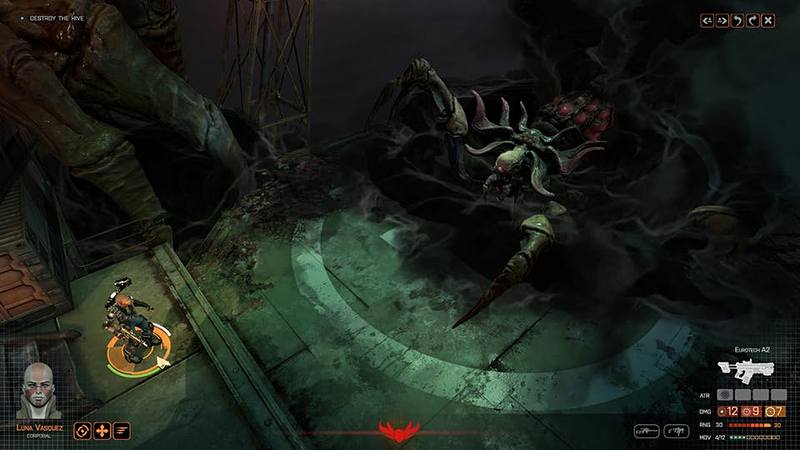 There is much about Phoenix Point that will be familiar to anyone who has played X-COM. The moment-to-moment play follows the same beats that Gollop established back in the ‘90s, but it is fascinating to see how that familiar structure has been expanded. Between vying factions, evolving aliens, and scarce resources, there will be tonnes for you to get to grips with when alpha access is opened in the next few months.